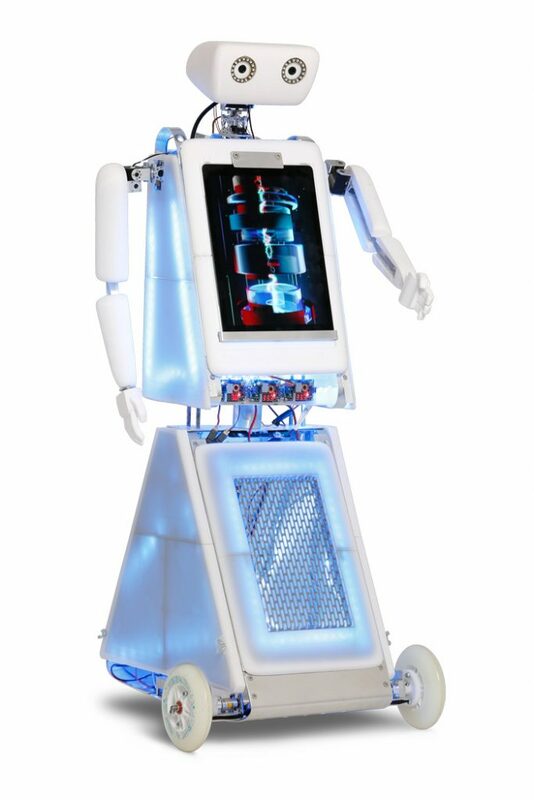 Please welcome Robopolitan the cute event robot with soul! Robopolitan is capable of communicating live with the audience using a bi-directional Video- and Audio-stream. From a cheerful animation to serious information transmission – the possibilities are endless. Even hosting an event as a presenter is possible. A built-in mobile PA-system plays DJ-music or even a singer can sing over the PA – mobile and wireless. On the front of Robopolitan, there is an Ipad Pro capable of playing videos with sound, transmitting your advertising message or playing games etc. 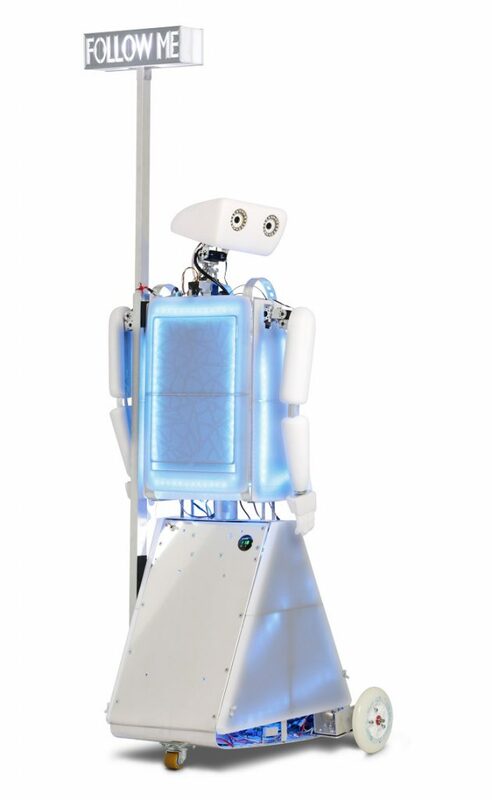 In the “Follow Me”-mode the robot guides audience from one place to another. Therefore we supply a custom made LED-Sign that can be extended up to 2.80 meters for maximum attention. But the most important thing is Robopolitan’s charme: it instantly wins the hearts of the audience with it cute look and it’s charming output. Why not book a robot instead of a moderator, DJ or musician?